* 2015 KBB.com 5-Year Cost to Own Awards * 2015 KBB.com 10 Most Affordable Cars * 2015 KBB.com 10 Tech-Savviest Cars Under $20,000 * 2015 KBB.com 10 Best UberX Candidates Clean CARFAX. 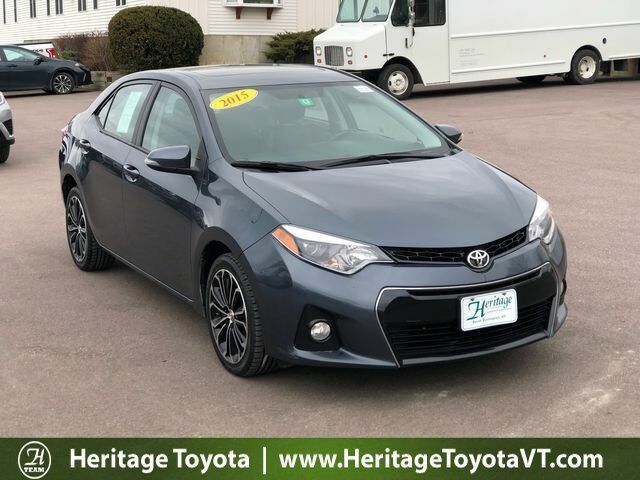 Heritage Toyota is the Champlain Valley's home for quality new and certified used Toyota vehicles, as well as used vehicles of all makes and models. We have been serving customers in Vermont, and Upstate New York since 1994, and since then, we have committed ourselves to providing a quality experience to you, our customer. Our staff is provided with Toyota factory training, and equipped with the best technology available to make your experience at our dealerships the best it can possibly be. We believe that buying a car should be an enjoyable experience from choosing the right vehicle to fit your needs all the way through signing on the dotted line and bringing your new vehicle home. We will ensure that you're getting our best possible price on your new car or truck, and our Toyota factory trained and ASE Certified service team will help you keep it in peak condition after you bring it home. Welcome to the H-Team!